As a locally owned and operated business, who has many years of experience in this industry, you can trust us when we say that we know what we are doing, and how it is done best. We are proud Perth presidents who are glad to be assisting others in Perth with our skip bin hire services. Our aim is to provide as much as much as we possibly can, 100% of the time. Range Of Skip Bins To Meet Your Needs. We have a vast range of skip bins available, all a simple request away. Head over to our Skip Bin Sizes page to find out which bins we have available to you. By providing a great range of bins, we can make sure that you have one that is a perfect fit for you no matter when or where you need it. If you are not sure of what size you need, simply give us a call and we will work with you to find the perfect match. If we say we will be there at 1 O’clock, guess what? We will be there at 1 O’clock. Your business is important to us, and we want to show you this by being reliable and on-time. If in the event something occurs which puts us behind schedule, we will notify you as soon as possible, instead of leaving you in the dark waiting for your bin to arrive. Are there other providers of the same service in Perth? Of course, there are. Do they provide the same value for money? Ah,probably not. Our rates are some of the most competitive in the industry and we are willing to prove it. Do not expect hidden costs, being whacked with big deadline charges, or having to pay for quotes and assessments. We will only ever charge you for what you have used our services. 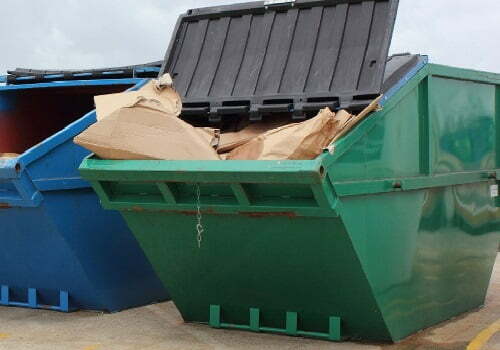 Skip Bins Perth WA are just a phone call away. Our experienced and professional staff are more than happy to take your call and assist however they possible can. Whether it be for a quote, assessment, order or advice, we are happy to oblige. When you are ready to get this thing rocking, we will make it happen in an instant and have your beautiful bin on its way.